Proven protection against a variety of harmful gases The multi-gas ABEK15 filter provides reliable protection against multiple toxic gases and harmful fumes. Robust, ergonomic carrying case The ergonomic design with slip-proof gripping areas on the housing allows for easy and safe handling. The belt clip makes the unit easy to carry along for daily use. The robust construction ensures stability even in rough environments. Long service life 12 years total life time with a filter change every four years. Ensures maximum protection at a reasonable cost. 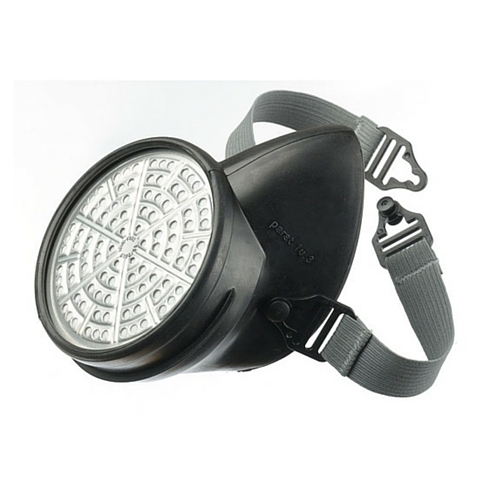 Half mask with 2-point harness Quick, easy and secure donning in an emergency situation. The half-mask additionally allows for good communication. Transparent case cover The filter expiration date can easily be verified and the unit can be visually inspected. Making service intervals easy to handle. Protection for at least 15 minutes The Dräger PARAT® 3100 protects the user from harmful gases and smokes for at least 15 minutes. It is approved in accordance with DIN 58647-7. Proven protection against a variety of harmful gases The multi-gas ABEK15 filter provides reliable protection against multiple toxic gases and harmful fumes. Robust, ergonomic carrying case The ergonomic design with slip-proof gripping areas on the housing allows for easy and safe handling. The belt clip makes the unit easy to carry along for daily use. The robust construction ensures stability even in rough environments. Long service life 12 years total life time with a filter change every four years. Ensures maximum protection at a reasonable cost. Mouthpiece / nose-clip assembly The mouthpiece / nose-clip assembly provides extremely low leakage. It is suited also for bearded wearers. Transparent case cover The filter expiration date can easily be verified and the unit can be visually inspected. Making service intervals easy to handle. Protection for at least 15 minutes The Dräger PARAT® 3200 protects the user from harmful gases and smokes for at least 15 minutes. It is approved in accordance with DIN 58647-7. Ready for escape in only 3 steps Exceptionally innovative and intuitive: When opening the packaging, the filter plug is automatically released from the filter. The filter is then deployed into operational position and the hood can be immediately donned. Thanks to the self-adjusting internal head harness, no additional adjustment is required. All you have to do is: open the packaging, remove the and don hood – and leave the danger zone. Reliable protection The high-performance combination filter reliably protects against a wide range of toxic fire-related gases, vapours and particles. The CO P2 filter is approved according to the EN standard 403:2004. 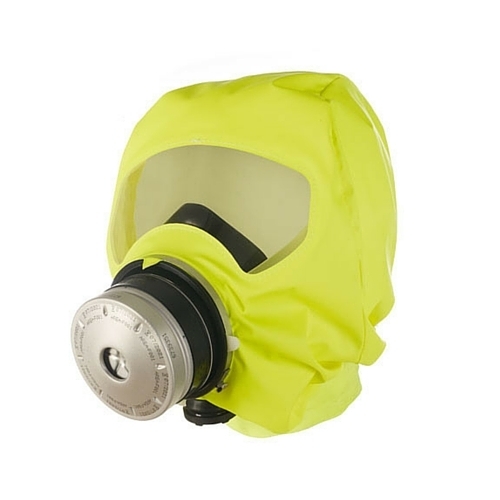 In addition, the filter is tested for use against H2S (at 2500 ppm) in accordance with DIN 58647-7. The filter is securely sealed with two filter plugs keeping it safe over its long lifetime. 16 years of service life Replacing the filter after 8 years will extend the service life of the Dräger PARAT Escape Hood to 16 years in total. For this, Dräger offers filter replacement service or an expert training for your employees. With the exception of the PARAT 5550 which requires that the complete refill kit be exchanged after 8 years. Robust and ergonomic Both ergonomics and wearing comfort were considered when designing the packaging of the Dräger PARAT Escape Hoods. The escape hood can be carried with a belt, shoulder strap, grip clip or belt clip. 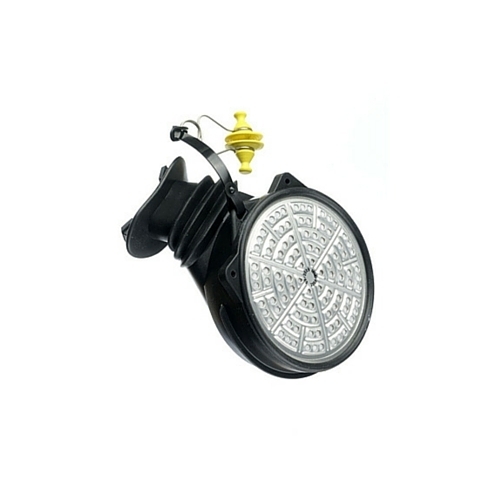 The PARAT Hard Case can also be mounted on the wall using a wallholder. Additionally, the robust packaging of the Dräger PARAT Escape Hoods protects the device from damage. Different packaging types You can select between four different packaging types: The Hard Case provides splash water protection (IP54) – the Soft Pack provides dust protection (IP5). The fire pouch, PARAT 5550, is packed in a flame retardant holster – or select the Single Pack with the standard filter plug system. Both, the Hard Case and the Soft Pack have viewing windows to check the filter expiration date and the condition of the device. Parcticularly convenient: The security seal on the packaging shows if the unit has been opened.